THE ORIGIN STORY OF MONOGATARI SERIES! This highly anticipated film has brought together an all-star creative team including Director Tatsuya Oishi (Series Director of BAKEMONOGATARI), Character Designer Akio Watanabe, Chief Director Akiyuki Shimbou,(Madoka Magica, Monogatari Series, NISEKOI) and Studio SHAFT Madoka Magica, Monogatari Series, NISEKOI). 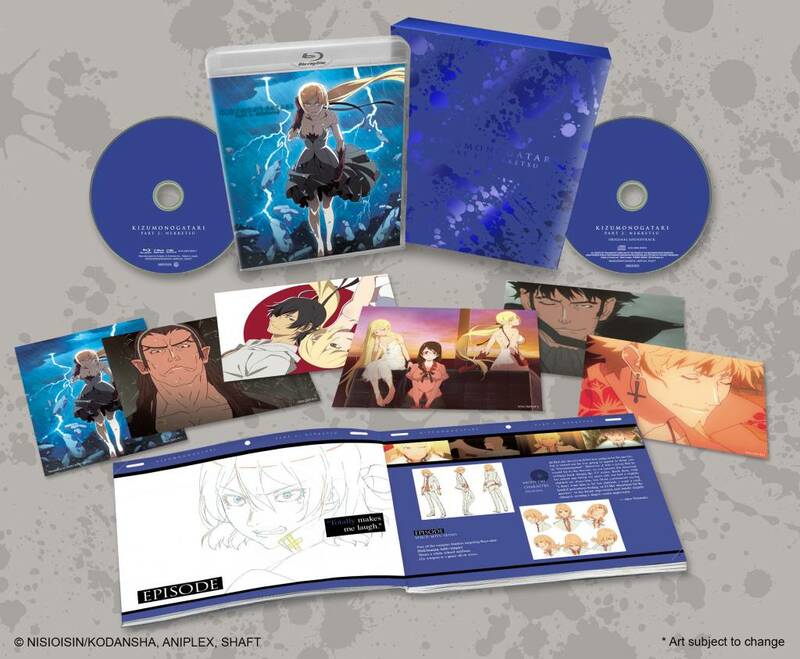 PART 2: NEKKETSU STORY Koyomi Araragi was turned into a vampire by the legendary vampire, Kiss-shot Acerola-orion Heart-under-blade, and he needs to revive the weakened vampire back to her complete form to return to being human again. The only way for Koyomi to achieve his goal is to fight the three vampire hunters – Dramaturgy, Episode and Guillotinecutter.